José M. Ramos is a multifaceted, award winning, aviation photographer based in Lakeland, Florida. For the past 22 years, he has documented military aviation subjects all over the United States. Currently NATOPS qualified as a select passenger for flight in all aircraft types operated by the US Navy, José has logged flight time in various high-performance aircraft including the F-14B Tomcat, F/A-18B/D Hornet, F/A-18F Super Hornet, S-3B Viking, TA-4J Skyhawk, F-5F Tiger II, EA-6B Prowler and the SH-60F/H Seahawk. His goal is simple, to provide the best in aviation photography and journalism. In pursuing this mission, José’s work has been published internationally on the covers and in the pages of such magazines as Air Forces Monthly, Air International, Aircraft Illustrated, Combat Aircraft (UK), Fuerza Aerea (Spain), Famous Aircraft of the World (Japan) International Air Power Review, The Hook and Wings of Gold (US). His work has also highlighted official US Navy publications and base newspapers, featured in the US Naval Academy student catalog and recently appeared in the books VF-11 / 111 “Sundowners” 1943-1995 (Osprey Publishing) by Barrett Tillman, S-3 Viking in Action (Squadron/Signal Publications), Grumman F9F Panther/Cougar: First Grumman Cat of the Jet Age (Specialty Press), and Nimitz Class Aircraft Carriers (Osprey Publishing) by Brad Elward. 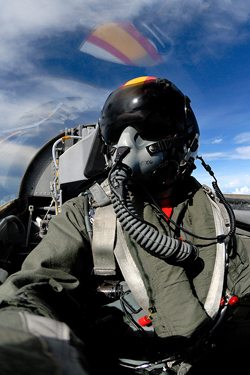 José currently serves as a contributing photographer for The Hook; The Journal of Carrier Aviation (US) and has provided photographic services on request for several US Navy commands. He has spoken about Aviation Photography on behalf of Nikon Cameras at the COMFOT Expo in Mexico City and the Sun-N-Fun Fly-In in Lakeland, FL. With a keen eye on current events while remaining mindful of history, José Ramos strives to educate through his imagery. He is available for assignments and commissioned work.